Sam and family," The News report- ed. The Barton Baptist Church would soon present its Sunday School holiday program, called Gates of Christmas. It was directed by Martha Sherer, with assistance from Gladys Gassoway. Santa and Rudolph made an appearance at the city's holiday parade. After the parade, children and families lined up to meet the visitors from the North Pole. "Having been on the road since Thanksgiving, some of Santa's helpers complained of being tired and dreary," The News reported. "The reindeer were possibly a little tired and hungry also. But not for long. Reindeer refreshments were provided by the Estacada Merchants Association." Classified advertisements from 30 years ago included notices for piano tuning, a call for old pictures and listings of work available in farms and wood shops. The News asked residents about their most memorable Christmas gift. "I was 5 years old and my grandfather made me a beautiful jewelry box and painted it in the traditional Norwegian Rose Malling pattern. I still have it," said Edith Cameron. 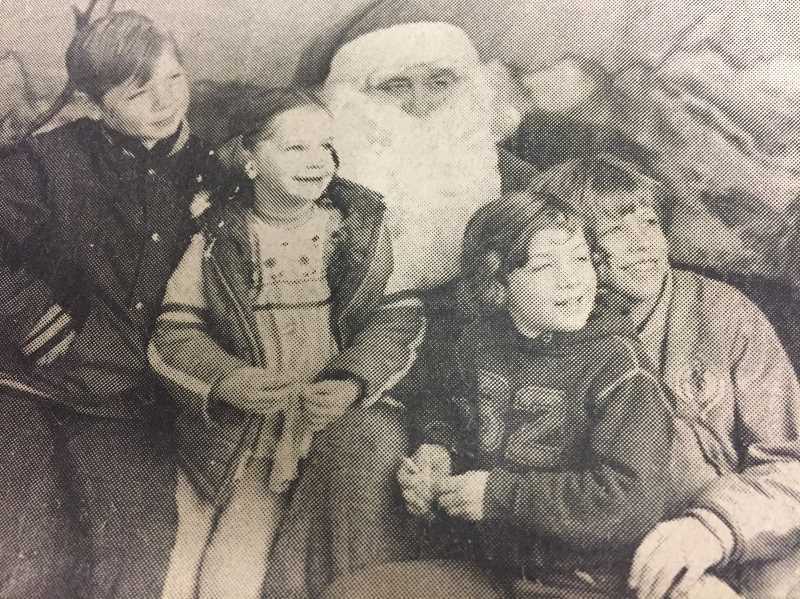 City Manager Denise Carey, who was then city recorder, said, "I think my best present was the one that arrived on December 7, 1983, my daughter Jamie." Mike Doolittle said he would rather give than receive. "I think Christmas is for the old and the young," he continued. "The old folks like to get the phone calls and the visits from friends and family around the holidays. The little ones count the days until Christmas. I think it's the responsibility of those of us in the middle to make it all happen for the others." The Hillsview Trio, a teenage singing group made up of local sisters Alissa, Clarissa Anne and Juanita Boggs, was selected from "a large number of applicants" to sing at the Generation of Youth for Christ Conference in Minneapolis. The conference was formed to "equip and inspire young people to be Christian ambassadors to their respective places of work and study," The News reported. The sisters were members of the Estacada Seventh-day Adventist Church. his self confidence. Each day he comes into himself more. He's a very gentle cat, but he's also been showing his fun side. He's very warm and cuddly."